Enjoy some endless family-friendly fun when you come visit Myrtle Beach. From swimming to golf, you will find countless ways to enjoy your fall vacation. One of the most popular activities around here happens to be fishing. And of course, while staying in one of our 1-Bedroom vacation rentals, you will be close to 3 different fishing piers. We know that some of the most relaxing fishing can be done on one of the local piers. 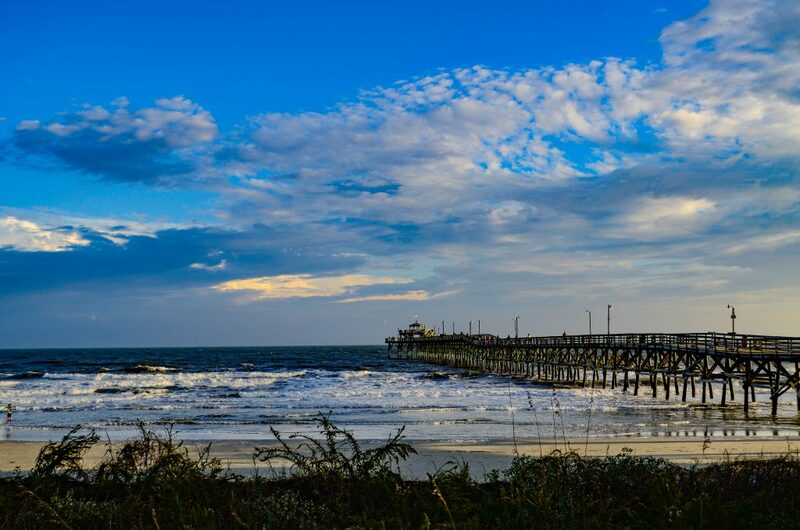 Below are our picks for a few Myrtle Beach fishing piers. The 14th Avenue Pier has been around since the 1920’s. It is known to many locals as the historic pier and has the famous Pier 14 restaurant there. The restaurant has been known to many visitors as one of the best restaurants in Myrtle Beach. You can come and rent fishing poles again where it costs $8 plus a $20 refundable deposit. If you are looking to fish with your own gear, then it costs $7 for the fishing pass and $2 for an additional pole. Please note that they do have a pole limit per person so you can only use 2 poles per person. 14th Avenue Pier also has bait in their shop so you are able to grab squid, shrimp, mullet and finger mullet for your fishing trip. They are open from 7 am to 11 pm so don’t miss out on the fun! Myrtle Beach State Park Pier is one of the first state parks to open in South Carolina in 1936. If you are looking for a quiet pier setting in Myrtle Beach, then this is your place to fish at. 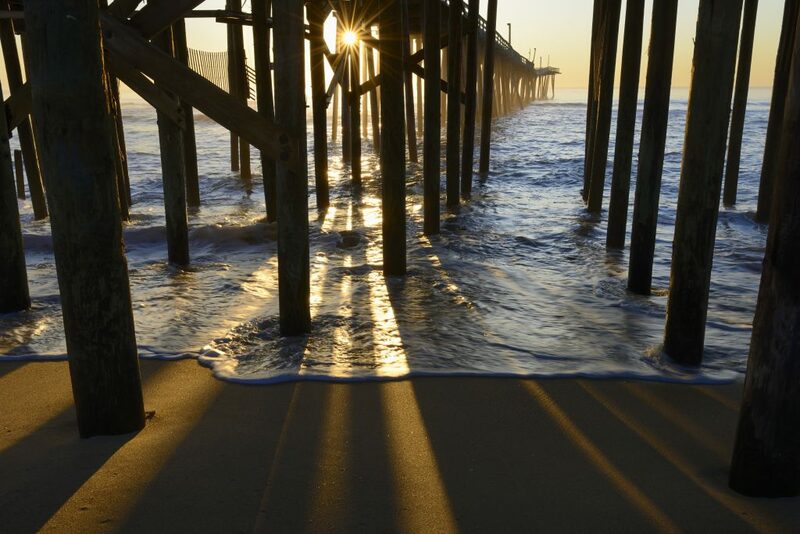 Located just 3 miles south of Myrtle Beach on U.S. 17 you will find this amazing pier. No fishing license is required if you are fishing off the pier, but if you are surf or shore fishing you will have to get a license. The pier is open during the park hours from 6 am to 8 pm. You will have to get a pier pass which costs $5.00 per adult, $2.50 per child ages 6-15 and SC Residents 65 & older would be $3.25. If you need to rent a fishing rod you can rent them for $10 from the pier gift shop and there is a refundable $25 deposit with each rod rented. 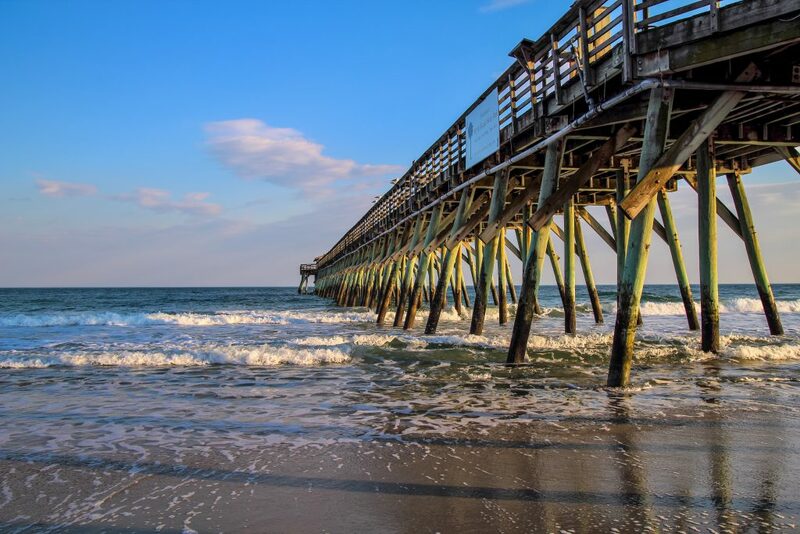 While there are other fishing piers that you can visit in the Myrtle Beach area, we just thought these three are a good option for you. And if fishing off a pier is just not for you, there are other fishing adventures you can do while in Myrtle Beach. There are plenty of other activities for you and your family to do while visiting the area. And if you are still searching for an 1-Bedroom vacation rental, we have several for you to choose from this fall. We hope to see you this fall while the weather is turning a bit cooler but you can still enjoy the sunshine and beach.